The guys from Altus Air Force Base returned to Oklahoma last week with some major bragging rights. 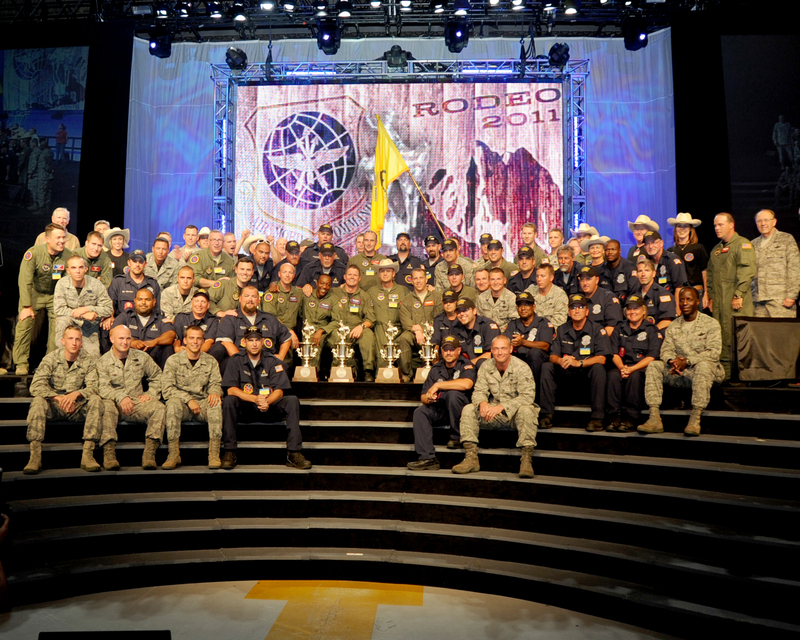 The 97th Air Mobility Wing took back the top prize at the 2011 Rodeo, Air Mobility Command’s bienniel skills competition. The 97th took home another nine trophies, too, which must have made the trip to Joint Base Lewis-McChord especially sweet. Best Air Mobility Wing: 97th Air Mobility Wing, Altus Air Force Base, Okla. The Knucklebuster Award: 439th Airlift Wing, Westover Air Reserve Base, Mass. Best Security Forces Team: Team McGuire, Joint Base McGuire-Dix-Lakehurst, N.J.
Best Financial Management: 375th Air Mobility Wing, Scott Air Force Base, Ill.
Best Aerial Refueling Team: 97th Air Mobility Wing, Altus Air Force Base (Receiver) and 92nd Air Refueling, Fairchild Air Force Base, Wash.
Best C-5 Wing: Team Dover, Dover Air Force Base, Del. Best C-130 Wing: 314th Airlift Wing, Little Rock Air Force Base, Ark. Best KC-10 Wing: Team Travis, Travis Air Force Base, Calif.
Best C-130 Short Field Landing Team: 302nd Airlift Wing, Petersen Air Force Base, Colo.
Best KC-135 Preflight Team: 22nd Air Refueling Wing, McConnell Air Force Base, Kan.
Best Flight Attendant Emergency Egress Team: 99th Airlift Squadron, Joint Base Andrews, Md. Best Contingency Operations ERO Team: 615th Contingency Response Wing, Travis Air Force Base, Calif.
Best T1 Team: 14th Flying Training Wing, Columbus Air Force Base, Miss.